We got the knobs from Home Depot and I liked them because they reminded me of some buttons I remembered my Grandma having. For now though, I’m crawling back into bed. I’ve got the flu and I’m determined to be well by my 40th next week! It’s looking great! You may have mentioned before – but since the microwave’s been removed, what are you doing as far as venting above your stove? This looks beautiful. You will so enjoy fixing family meals there, especially when your little peep arrives! So lovely and bright! I love the backsplash, and the dash of whimsy you’ll be adding with the drawer pulls. I hope you start to feel better soon! Cuddle up under a soft quilt, Layla. Know the last thing you want to have is the flu. The kitchen is inching along. I get more and more excited each time I see it. Like you……I dream of a new stove. One with RED knobs, tho. It’s just gorgeous, Layla! 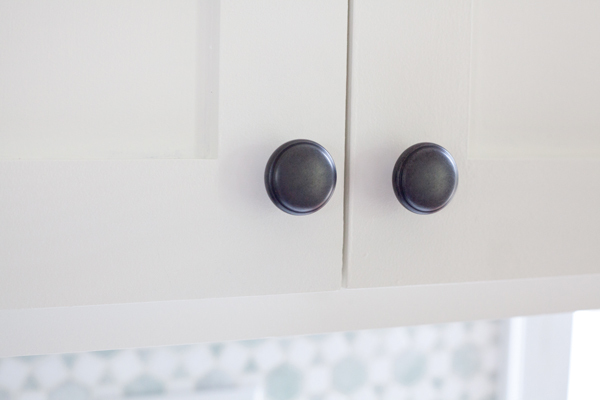 Have you considered adding some shaker trim to the drawers to match your cabinets above? The kitchen is looking gorgeous! I hope you are feeling better fast! I love how your kitchen is turning out. It is so fresh and bright. Oh, and I love, love, love the rolling pin drawer pulls. They remind me of both of my grandmothers. They always used their rolling pins to make homemade biscuits and chicken and dumplin’s (or chicken pastry). Amazing how something so small can stir up so many cherished memories. I can’t wait to see the finished kithchen. 40th? As in birthday? I thought you were in your twenties. You look fabulous! Hi Layla, I hope you’re feeling better soon, summer colds and flu are the pits! I would LOVE to know what colour you have painted your pretty kitchen, it’s a beautiful pale serene grey that I’d love to have in our kitchen too. It’s a dark room not helped by the prior owner’s choice of ochre, sigh…. Love it! Can’t wait to see everything! Sorry you are sick…get well soon! 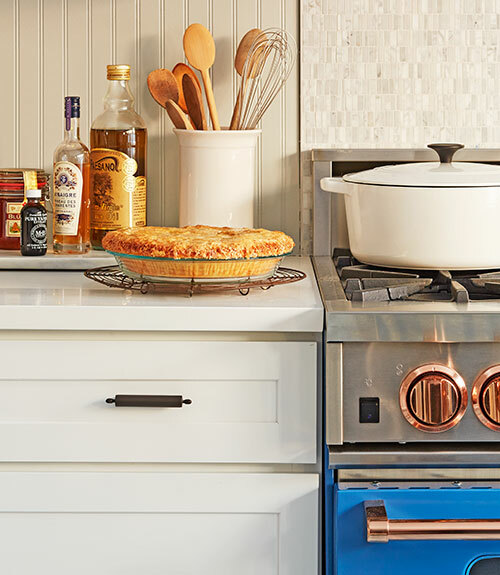 Those rolling pin drawer pulls — total love. Feel better, Layla! I hope you feel well quickly. Everything looks great so far. Hope you get to feeling better asap. Very crisp and clean! That rug looks similar to one I have in my living room. It would never survive in my kitchen! I swear I live with Messy Marvin and his two kids. Lol. Hope you feel better. Happy 40th! The kitchen is beautiful! I know you are loving it. Take care and feel better soon! There is NO WAY you will be 40! You look like a young 20 something at the oldest! 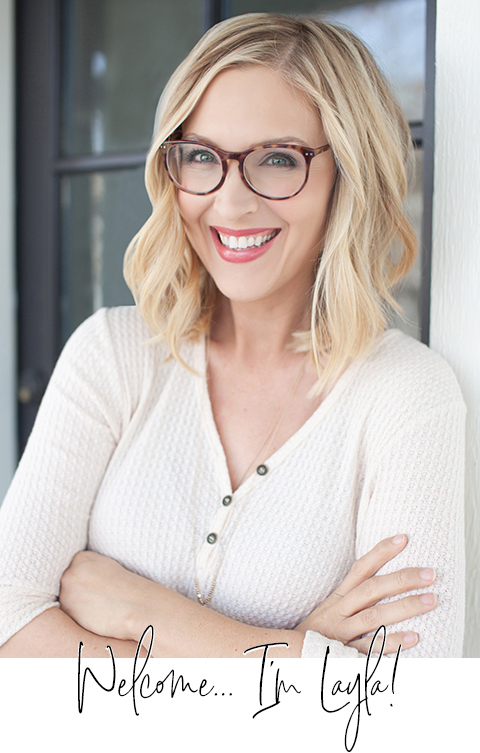 Love your blog, your style, your heart, your faith. May many blessings come to you and your family. I adopted my baby when I was 40 also! You’ll be such a great mother! Can’t wait to hear all about it, and btw, the kitchen is looking great too! Hope you feel better soon! I love your flour and coffee canisters! Where did you get them? Kitchen lookin’ good!! Oh my those rolling pin drawer pulls will be adorbs. What, forty?! I pegged you for early thirties! I love love love white kitchens. This one is gorgeous and I do love those knobs. We are in the design/planning phase of our kitchen. I am on the look out for cool ideas. This one has plenty. Feel better soon! Love everything you do! Can you tell me – is that the “Kate” rug from Pottery Barn? I love that rug. – know where I can get it? We are finally remodeling upstairs and that would be perfect for the space. So sorry you are sick. Your kitchen looks amazing! Kitchen is gorgeous (where can I find those rolling pin pulls) and I’m in the “Layla’s-40-?-No-way-!” camp. Must be all that love, joy, and positiveness. Looks good on you (and Kev). Hope you feel better soon! If you don’t mind sharing, could you let us know what paint color you used for the walls? I’m in the middle of a kitchen reno and will have white cabinets and marble countertops. I’m struggling to find the right gray for the walls. Thanks! LOVE. LOVE. LOVE!!!! The patterned backsplash really pops against the new white colour on the cabinets! Great advice on the cabinet painting techniques. Really could have used that 18 months ago! 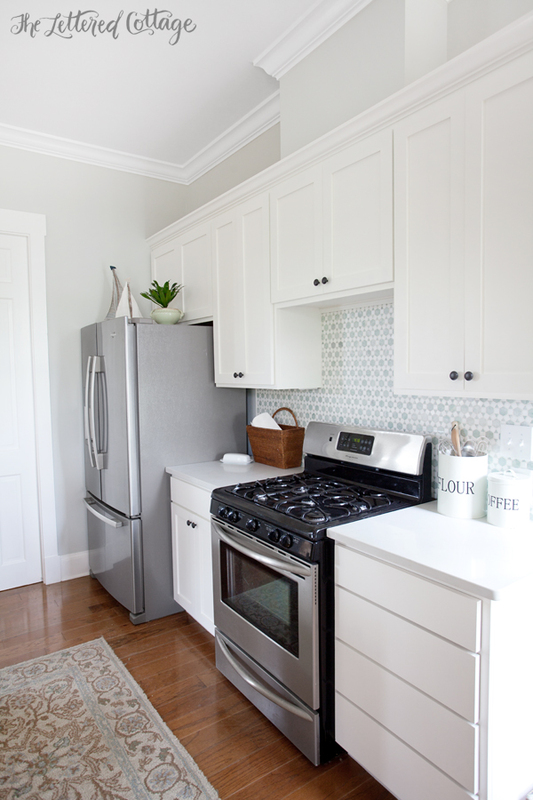 I never thought I liked Sarah Richardson’s cottage backsplash but I love the one you used! If it’s the same yours just looks so good. What about a counter depth fridge? Is that in the cards? I have one that sticks out from the counter and it drives me nuts. Maybe it’s just me. Looks fab girlfriend! Where can I get canisters like your ones on your counter? The flour and coffee ones. Thanks in advance. Love what you have done to your kitchen! Wish you would have done it sooner before I did mine 2 years ago, heehee! !